The Residence Three model at Laurelton at Blackstone is now selling. EL DORADO HILLS, Calif. - May 15, 2018 - PRLog -- – Laurelton at Blackstone is down to its final few homes for sale, with a gorgeous model home that's now selling and showcases highly-upgraded features and a great location. 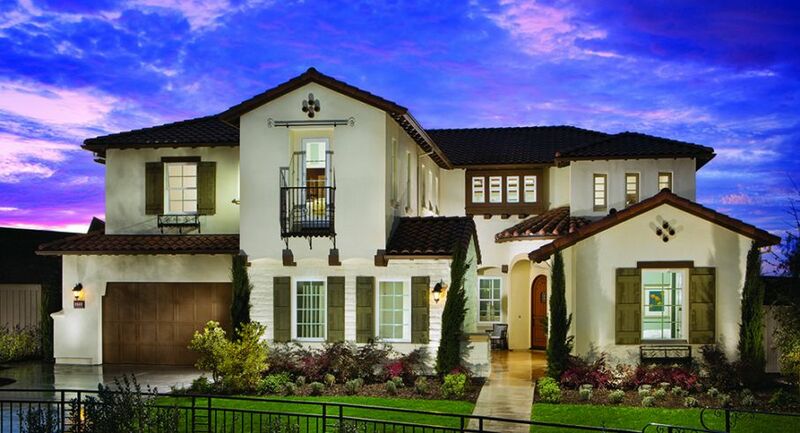 Sitauted in the upscale Blackstone masterplan in El Dorado Hills, Laurelton is a new home community by leading homebuilder CalAtlantic Homes, a Lennar company. "This gorgeous model home showcases impeccable design and gives access to luxurious amenities that residents can take advantage of, just steps outside their new front door," said Michelle Velky, Vice President of Sales and Marketing for Lennar Sacramento. "This residence features designer-selected custom elements throughout that offer a stylish, elevated and lavish lifestyle opportunity. Interested homeshoppers should act fast before this model home is gone!" The Residence Three plan is accented in a striking Spanish Colonial elevation, this home boasts an ideal layout for those who love to entertain. Providing 4,226 square feet of living space that encompasses four bedrooms, four bathrooms and a three-bay garage, this two-story home also features other elevated design and architectural details. The Residence Three entryway leads to a grand spiral staircase and spacious great room with designer cabinetry, beamed ceilings, a home management area and a beautiful chandelier that opens into the high-end chef's kitchen. Slider doors open to the California room for an enhanced open space that lends itself to indoor-outdoor living and entertaining. The master suite is complete with a private retreat area and spa-inspired bathroom. Set within the exclusive Blackstone masterplan, residents of Laurelton enjoy incredible resort-inspired amenities. At the center of the community is The Club, a private activity center unlike any other. This 10,500-square foot facility offers three sparkling pools — one to relax in, one for swimming laps and a children's wading pool, a steamy spa, large workout and exercise facility, children's play room with large outdoor yard, a spacious multipurpose gathering area with attached kitchen and a cozy living room, outdoor living spaces and so much more! Laurelton's close location near the El Dorado Hills Town Center also offers residents the convenience of being close to boutique shopping, premiere dining breathtaking scenic walking trails and top-notch boating, hiking and skiing. National homebuilders Lennar and CalAtlantic have merged to combine forces, positioning the company as the leading homebuilder in the nation. CalAtlantic Homes has joined Lennar's Family of Companies with a united vision of providing quality and value to families across the country as they move into the next stage of their lives with a new home. Laurelton is located at 568 Idlewood Court. Call 916-905-1623, visit www.lennar.com/sacramento or email LennarSacramento@Lennar.com for more information.